How do you change stance during combat? 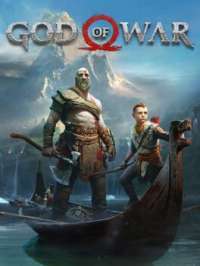 I have unlocked all of the main abilities for the axe in God of War. The last few involve abilities thst activate when you make Kratos change stance during combat. What does this mean? I've never seen any prompt on changing stance during combat before so I don't know how to do this. I'm pretty sure you have to pause for a moment after attacking and you will see Kratos change stance and this is when you can perform another attack to take advantage of the stance change.